Management Development Institute – 3 words that express numerous things. It has just been over a month since I joined the college but this short time has brought along with it a plethora of experiences. This one month has brought along with it mixed emotions. From the highs to the lows we have experienced it all and still wait for more. Sleepless nights to hectic schedules, meeting deadlines and case analysis everything has been different for me. 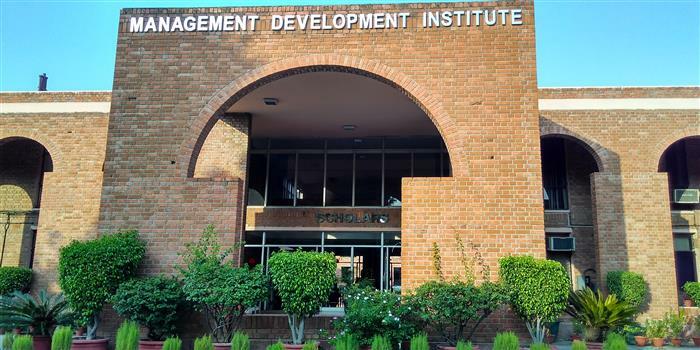 Management Development Institute is unique in itself and I believe the students are the unique selling point of any college including MDI. The past one month, has provided an opportunity to interact with a lot of new people and hear their stories. It has been exciting to meet people from different backgrounds and learn from their life experiences. The past one month has tested our resolve to the core and pushed us to stretch our boundaries. It has been a great exposure. The campus life doesn’t limit itself to the academic curriculum but provides opportunities to explore yourself in other aspects like culture, sports and literature. One of the most unique experiences has been the King of Kings – intersectional sports war. I have personally never been a part of such a thing. King of Kings tests not only your physical but mental strength as you manage sports commitment along with your academic curriculum. Waking up early in the morning to play cricket, attending your classes and sessions, playing other sports in the evening and then organising football. That’s not all, after all this you cheer your batchmates as they battle it out in other sports until late night all the while pondering over the next deadline you have to meet, the next case you have to submit. King of Kings also provided opportunities to inter mingle and bond with your batchmates while fighting at all cost on the field. Aditya Birla Group is one of the leading conglomerates in the world with businesses spanning from telecommunication to textile, cement industry to finance. The Aditya Birla Group offers a lot of opportunities across various sectors and I personally want to work with Aditya Birla Fashion and Retail Limited (ABFRL). Bringing together the business and experience of two renowned brands – Madura fashion and lifestyle and Pantaloons fashion and retail, ABFRL provides lot of opportunities to grow and develop. ABFRL includes under its umbrella international brands like Van Heusen, Hackett London, Forever 21, Ted Baker etc. It provides an opportunity to work for a brand which directly engages with customers and creates value for them.